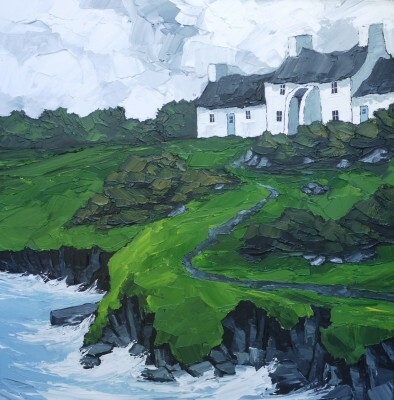 Peter Morgan was born in Pembrokeshire in 1970. He studied building design at Pembrokeshire College and trained as a civil engineer. 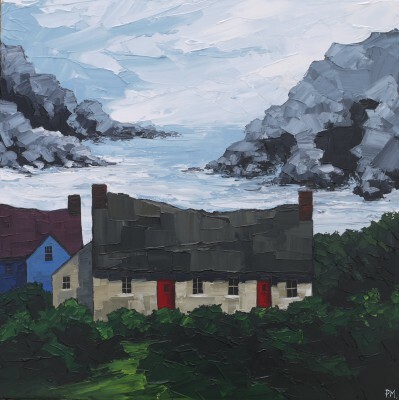 Peter is a self taught artist and has been painting seriously since 1994. 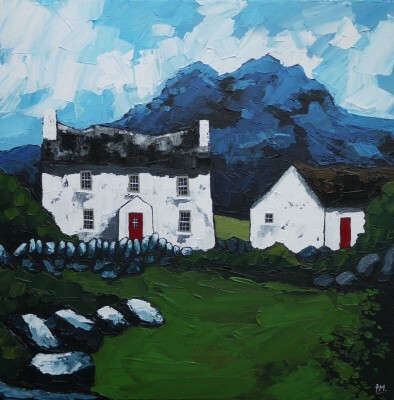 He is particularly well known for his colourful palette, working mainly in acrylics using a range of techniques including glazing, impasto and direct painting. Painting buildings has always been at the heart of his drawing and paintings. Peter works directly from the environment, often revisiting places many times and in ever changing weather and seasons. 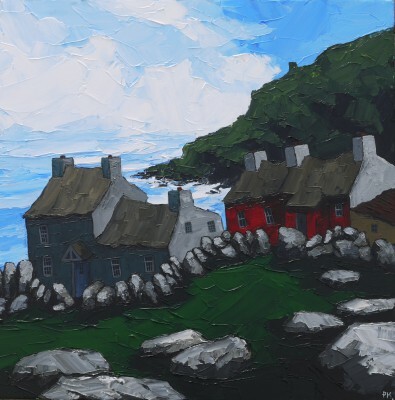 Peter Morgan paintings are inspired by his immediate surroundings as well as his travels. 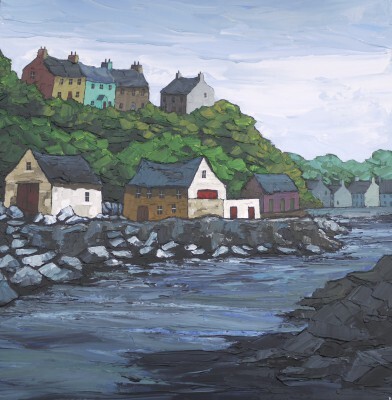 Visits to North Wales, Cornwall and the Gower have resulted in a series of larger paintings that aim to capture something of the essence of place. His subjects are often incorporate the light, atmosphere and beauty of places he knows well. In all his paintings the aim is to convey some of this emotion to the viewer. He is especially known for his dramatic whitewashed cottages hidden behind stone walls. In each painting he never quite knows what colour the sky or the landscape is going to be. It might take a week or might take a couple of hours depending on how the layers build up. 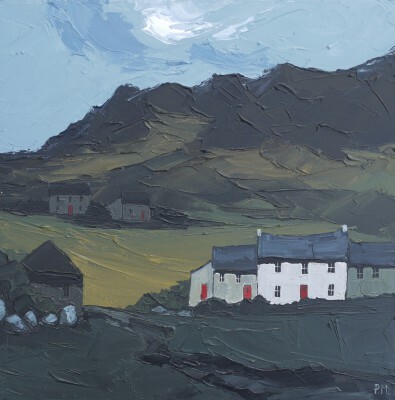 In addition to Red Rag Art Gallery Peter Morgan has exhibited at a number of other British Art Galleries. Each painting at Red Rag is sourced from the Peter Morgan artist studio and like all Red Rag Contemporary art it can be shipped worldwide.